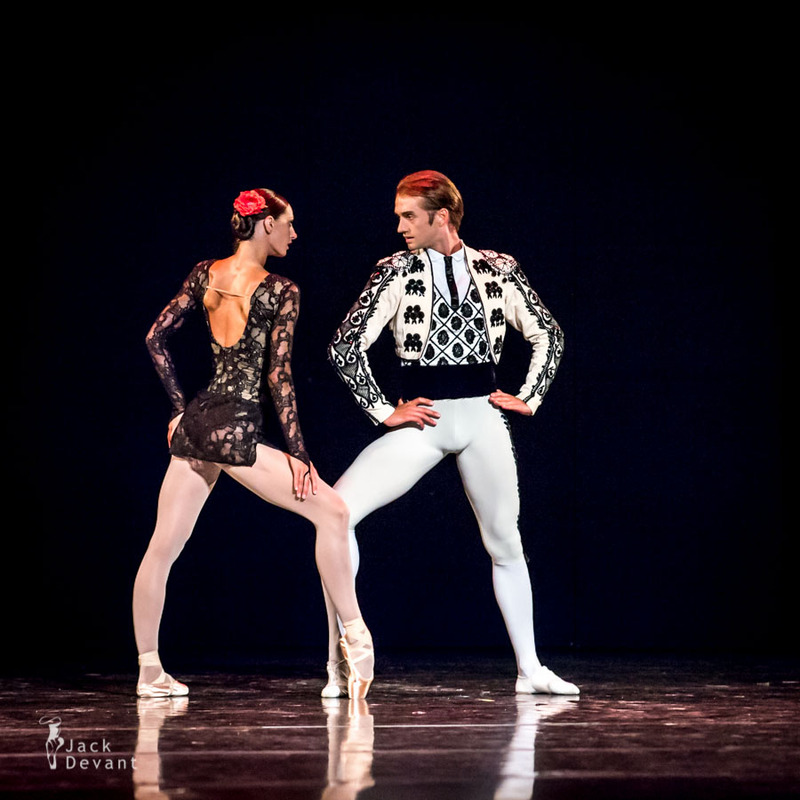 Vera Arbuzova and Andrey Kasyanenko (both with Mikhailovsky Thteatre, St Petersburg) in Carmen Suite (Adagio: Andante moderato – Adagio), music by Georges Bizet (re-arranged by Rodion Schedrin), choreography Alberto Alonso. Russian Ballet Festival Lahti 2013. Vera Arbuzova was worn in Krasnoyarsk, in 1992 she graduated from the Krasnoyarsk Ballet School. The same year she joined the Boris Eifman Ballet Company as a soloist. Vera Arbuzova has twice received St Petersburg’s most prestigious theatre award the Golden Sofit – in 1997 for the role of the Ballerina in Eifman’s ballet Red Giselle and in 2003 for the role of Lynn in Eifman’s Who’s Who. In 2002, she was awarded with the title of Honoured Artist of Russia and in 2005 she received the Spirit of Dance prize. Since 2008 she has been a soloist with the Mikhailovsky Ballet Company. At the Mikhailovsky Theatre she has performed lead roles in the ballets Spartacus, Giselle, The Nutcracker, The Moor’s Pavane, Sonatas in Minor and Nunc Dimittis. In 2010 Vera Arbuzova made her first appearance as a choreographer. Andrey Kasyanenko graduated from the Vaganova Ballet Academy. In 2004-2008, he was a principal dancer of the Boris Eifman Ballet Theatre. In 2008, joined the Mikhailovsky Ballet Company. Carmen Suite is a one-act ballet created in 1967 by Cuban choreographer Alberto Alonso, on music written by Russian composer Rodion Shchedrin. The music, taken from the opera Carmen by Georges Bizet and arranged for strings and percussion. The Bolshoi premiered Carmen Suite in 1967. Soviet Minister of Culture Yekaterina Furtseva banned the work immediately following its premiere as “insulting” to Bizet’s masterpiece,” repelled by the modernist flavor given to the music and the sexual overtones of both the story and the title character.